It sounds like a backwards step but is actually really popular with young players because of its open world adventures and plethora of equipment to collect. Terraria is a game similar to Minecraft but played entirely in two dimensions with pixelated graphics. Penguin have just released the first official guide book for Terraria and it’s an ideal birthday present for anyone in your family that plays the game . The guide not only takes you through the basics of how the game works but also makes suggestions for what you can do in the world. This is particularly useful for Terraria, because it’s an open-world game where players need to decide what to do themselves rather than having a single linear story. The book is also useful as a reference guide while you are playing. It details which different tools are useful to mine different types of rock and ore in the game as well as listing out all the enemies and environments. As well as being useful to players it’s also handy for parents who want to better understand the game and maybe even start playing it with their children. 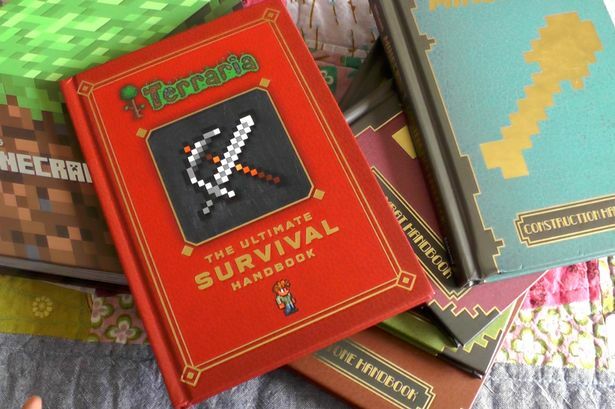 Like the Minecraft guide books, Terraria: The Ultimate Survival Handbook can bridge this gap between parents and children so they can enjoy the game together. More details on the book can be found on the Penguin website .